By far the best decision I have made with regards to my health is getting trained under Vijobi Vakkachan(Personal Trainer at Ibn Battuta Club, Fitness First). 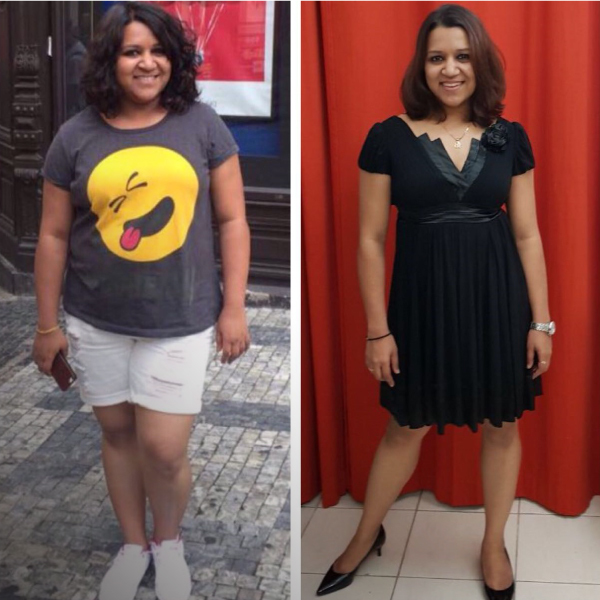 I had put on 17 kilos in 2 years after moving to Dubai from India with chronic PCOS (polycystic ovary syndrome). I had an imbalance of other hormones which had led to the absence of my period for 3 years. I had tried several kinds of workouts and diets and failed miserably every time. After I started training with Vijobi I reduced 18 kilos in 10 months! I owe it to all to my trainer because he designed my workouts in such a way that I enjoyed them. Gradually my stamina increased. I have developed a lot of strength in my core. All this has resulted in better health, skin and hair. He is a person with a lot of knowledge about nutrition and workout regimes for different body types. He is motivating and inspires you to reach new heights on a daily basis. Basic things I learnt from him include concentrating on getting healthier and stronger every day. Weight loss will follow eventually. I am more than happy to recommend him to anyone who has lost hope about their health. He is a must go-to person to re-discover yourself.